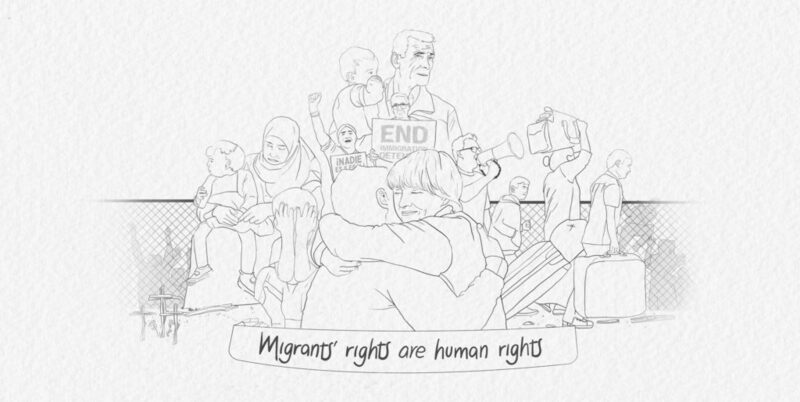 Migrants’ rights are human rights. This fundamental truth, established in international human rights law, bears repeating in view of the Trump administration’s efforts to deter, criminalize, and stigmatize migrants, visitors, and asylum seekers. These policies and actions carry profound consequences for migrants’ human rights in the United States. Engagement with human rights oversight bodies like the Inter-American Commission on Human Rights are a chance to convey this message loud and clear. See the toolkit to get involved or learn more. Visit the social media page for images and messages to share.